The volunteer program is vital to the running of NERAM and we are very grateful for the dedication and support of those who give their time to assist us. Volunteers perform important roles at NERAM including assisting in front of house activities and the installation of exhibitions, library and archiving roles, volunteer guides and a range of special projects. Become a volunteer at the New England Regional Art Museum. Are you looking for an activity where you can meet people, learn new skills, discover art and culture, have great social events and really make a difference within our local community? NERAM Volunteers come from all ages and walks of life and are essential to our ability to present exhibitions, events and activities throughout the year. If you are interested in becoming a key part of the NERAM success story then you should apply to be a volunteer with us. If you would like to become a volunteer, please contact us on (02) 6772 5255 during office hours or email our Front of House Manager. 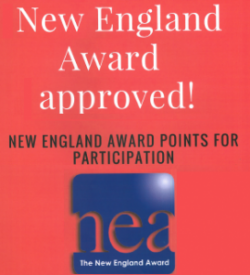 UNE students who volunteer at NERAM are awarded participation points as part of the New England Award program.